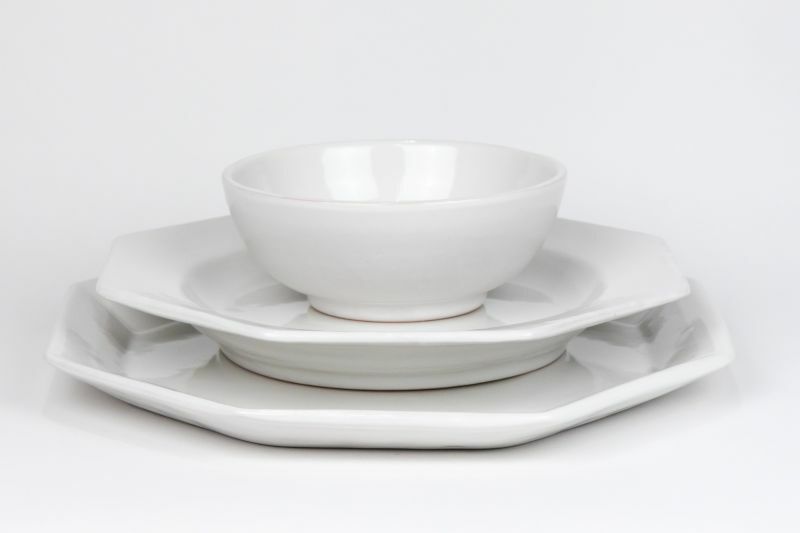 This all white dinnerware set has the charming look and feel of handcrafted Italian ceramics. 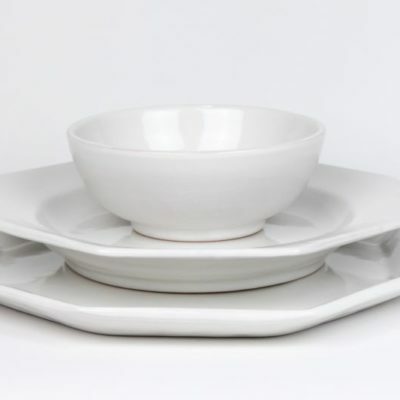 Additionally, enjoy mixing and matching various serving pieces of multiple colors or keep it all white for that classic elegant look. Great for bridal registries, wedding and shower gifts.